Sarongs from Bali. Sarong pareo wholesale. Handmade batik sarongs and pareo by batik artis in Bali. 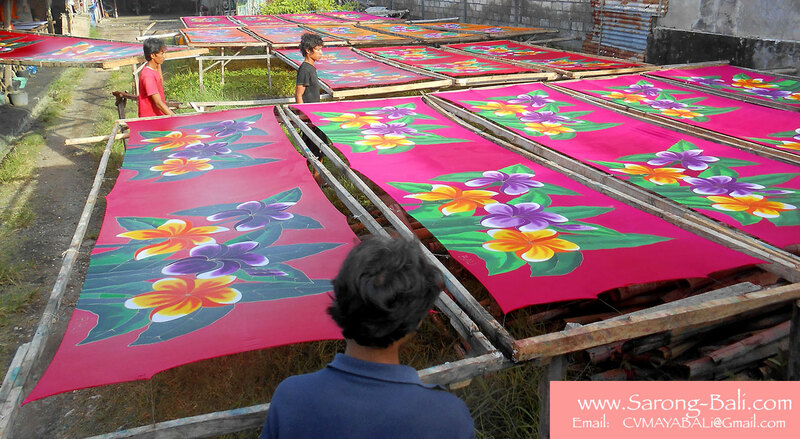 Family owned sarong manufacturer. Once we receive your order, we will then compose the proforma invoice after that we email it to you. In the invoice we provide details about your order including the shipping charge, please remember to inform us your company address and name of shipping port. We're sarongs pareo factory in Bali Indonesia. We're producer and exporter of rayon sarongs from Bali. Our sarongs pareos are handmade in Bali. If you need to import sarongs direct from the supplier and manufacturer. We're here to help you Please browse our main site for Bali sarongs located here and place your order using our shopping cart. You're also welcome to email us your order in microsoft excel file. Please don't forget to include your company or business information. Also your shipping port. We're looking forward to become your long term sarongs supplier in Bali. Bali Pareo Batik Sarongs by www.BaliPareo.com. Simple theme. Powered by Blogger.